Seth started second grade on Tuesday, and Evan started back today to his second year of our campus pre-school, Tiger School. In past years, the boys have both been a little reluctant or hesitant to start new school years, but this year they both had that confident swagger that comes with knowing what to expect. 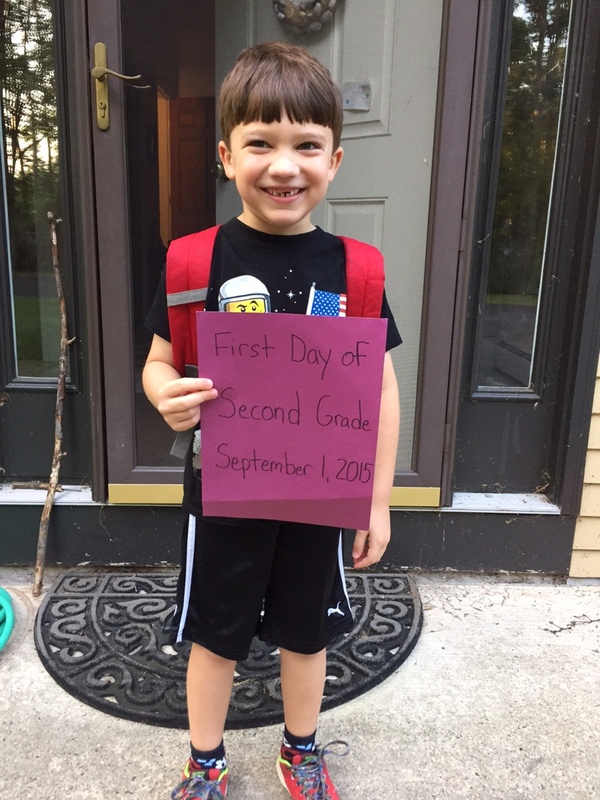 Seth just started second grade, which is the last grade at his primary school. He has a teacher that he has heard good things about, a best friend in the classroom right next door, friends in his class, and good buddies from the academy to ride the school bus with. He has started to make some decisions for himself: after two years of soccer fun, he's decided to take a break from that sport this fall and focus on gymnastics and add in guitar lessons. He's mastered riding a bicycle without training wheels and swimming without a floaty. He's lost his two front teeth - he prefers to be called Fang - and got a pair of reading glasses. He's identified as a serious reader and outdoor adventurer. He is ready to rock! 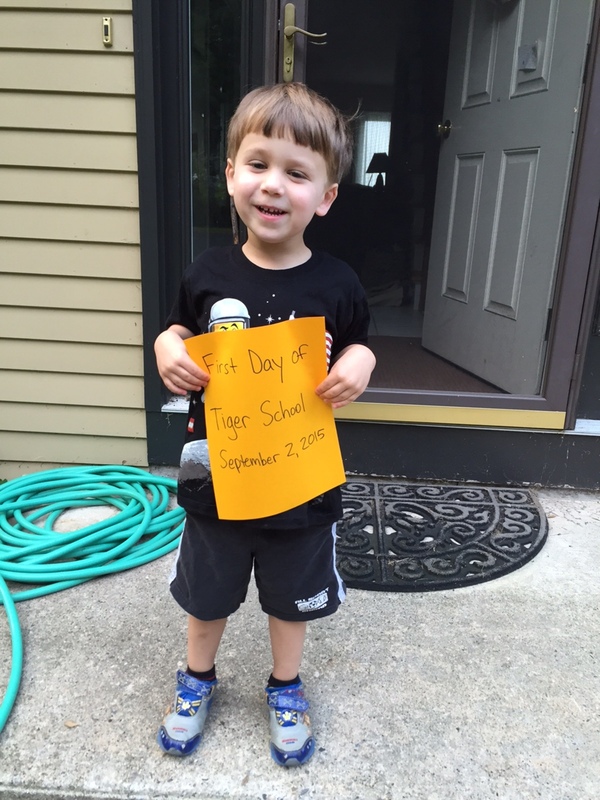 Evan is excited to be back in his wonderful Tiger School classroom. Gosh, I would love to go to Tiger School! He thrives on the routines, rules, rewards and challenges in the classroom. He has already planned out his choices for Show and Share for the next three weeks. He still greets all his friends with an excited hug and kiss. Birthday parties and outings thrill him to no end. The sophistication of his speech has increased - sometimes he makes a comment, and I think "Wow, I blinked and he's almost five." Though surely at times it is frustrating, he generally likes his place in the family, big brother to the girls and little brother to Seth. It's been an exciting first couple days of September. All four kids are back to school!